The Rolling Stones were so pleased with the design they gave Pasche a bonus of £200. The iconic logo first appeared on the album insert sleeve and on the actual record label of their 1971 album “Sticky Fingers“. “I wanted something anti-authority, but I suppose the mouth idea came from when I met Mick Jagger for the first time at the Stones’ offices. I went into this sort of wood-panelled boardroom and there he was. Face to face with him, the first thing you were aware of was the size of his lips and his mouth”. 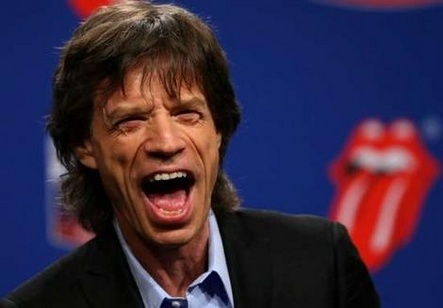 A London museum purchased the original Rolling Stones tongue-and-lips logo (pictured above) for $92,500. Pasche had already decided to sell the drawing at a US auction house when the V&A enquired about borrowing it for an exhibition. On learning the work was for sale, the museum lodged a winning bid, half of which was provided by the Art Fund charity. How did the rumor get started that Andy Warhol designed the logo?